Today’s fish is the Katsuo, a commonly known fish in Japan. Our wild Bonitos come from the seas of Portugal. Because this is such a delicate fish, it is interesting that we can get the fresh one from there. You don’t know about Bonito but already familiar with the rich taste if you enjoy the miso-soup. Katuo-bushi, a paper-thin slice of dried Bonito, is a key ingredient when making the broth for the miso-soup. 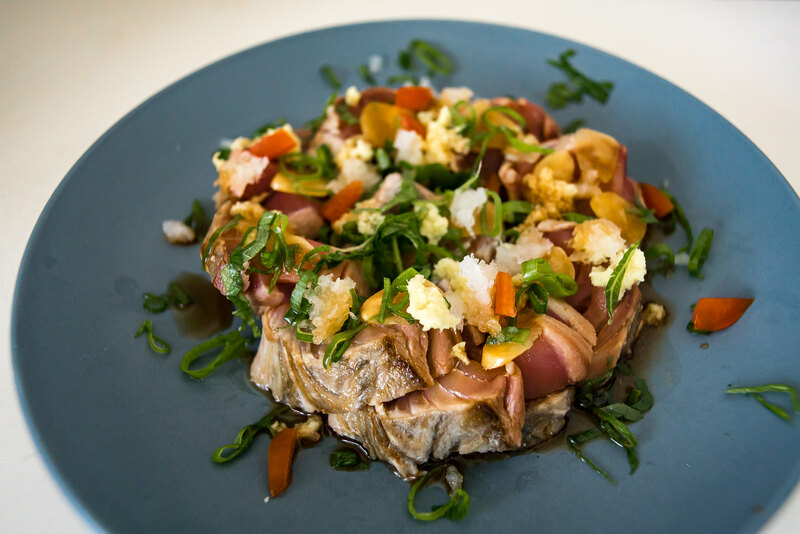 Its firm texture and rich taste are best enjoyed as seared tataki with thinly sliced of garlic, chopped green onion, grated ginger, and ponzu soy sauce. 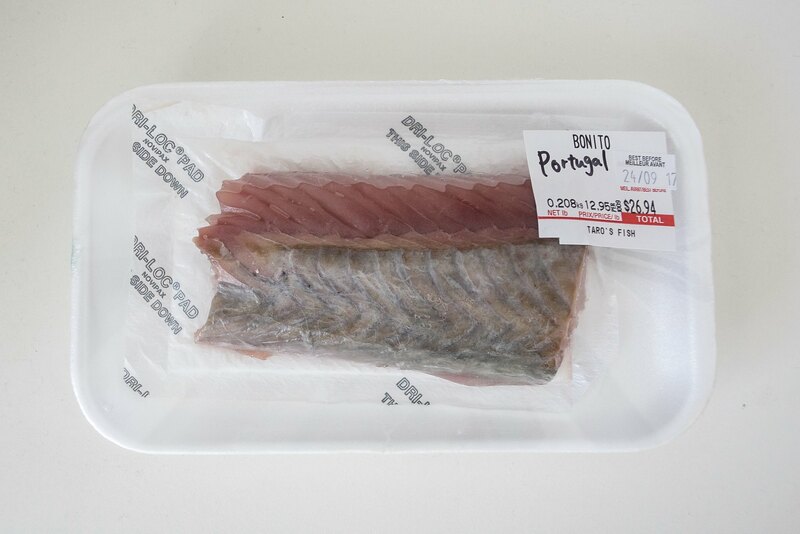 The best season to enjoy the Bonito is during spring to fall.